On the Monterrey – Saltillo highway, right after we passed the first set of mountains of the Sierra Madre Oriental, we began to notice a series of food joints right off of the highway, as you can see in one of the photos, it literary means right off of the highway. 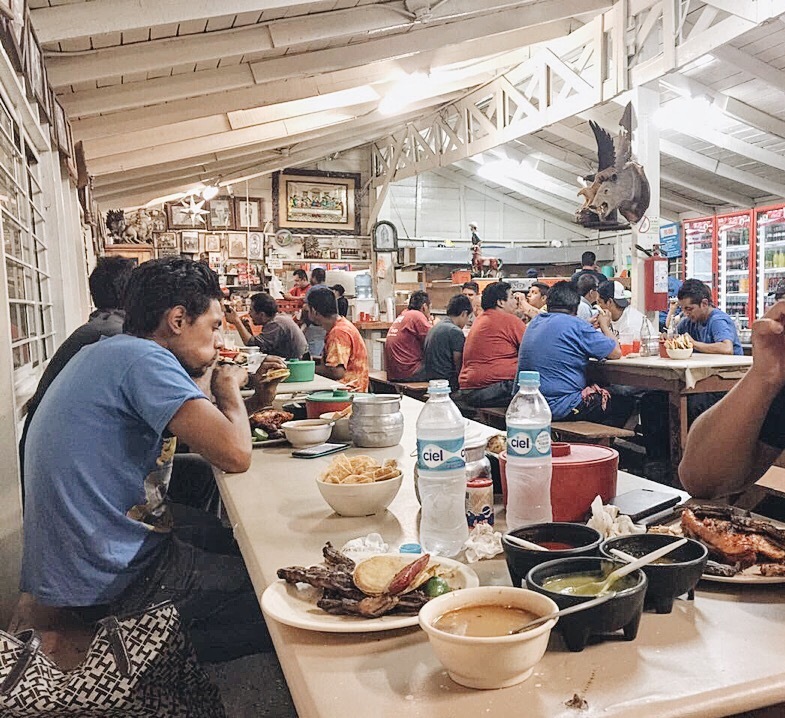 One these food joints particularly caught our attention; Los Parientes. Los Parientes had an unusually high amount of traffic compared to the other food stalls in the area, so by default, we decided to check it out. After overcoming the odyssey that it was to find parking, we discovered we were in for a treat. We could write and share a lot more about our experience at Los Parientes, but there’s more to this story than just great culinary taste. Being the adventurers that we are, we decided to venture into the rocky area. It was then, when we ran in the community of Ojo Caliente. Somehow it was not on the map, we looked on our paper map, we looked on every mapping app we had, Ojo Caliente was nowhere to be found, but it was there in front of us, so there we went. At first sight, Ojo Caliente is nothing more than just a conglomerate of little low-income houses (some abandoned) a gravel road, and an outdated forgotten play park. Yes, you guessed it, there is a twist. This community hidden between the Cordillera has a lot offer. We quickly began mingling around, and it was so evident that for the community, it was ok to not have all commodities that often trap people in a cage of debt and unhappiness. This is not to say that we had suddenly discovered the happiest people on earth, but they were surely content with the simplicity of their lives. This concept reinforced the starting idea of this blog. The experiences in our lives make us richer, and not necessarily stuff. However, we also discovered, that there was a particular person injecting hope into the community. In an apparently neglected town by the Mexican government, after you pass the ¼ mile rocky entrance, turn left, and right after the abandoned playground, you will find a small medical clinic run by the Social Security Mexican Institute. The clinic provides free basic medical care to the community of Ojo Caliente and other neighboring towns. Inside the clinic we met a young and bright Doctor running the clinic. Dr. Danya Flores. In all of our adventures, we have never met such an intelligent, kind, smart, clever, able, competent person such as Dr. Flores. 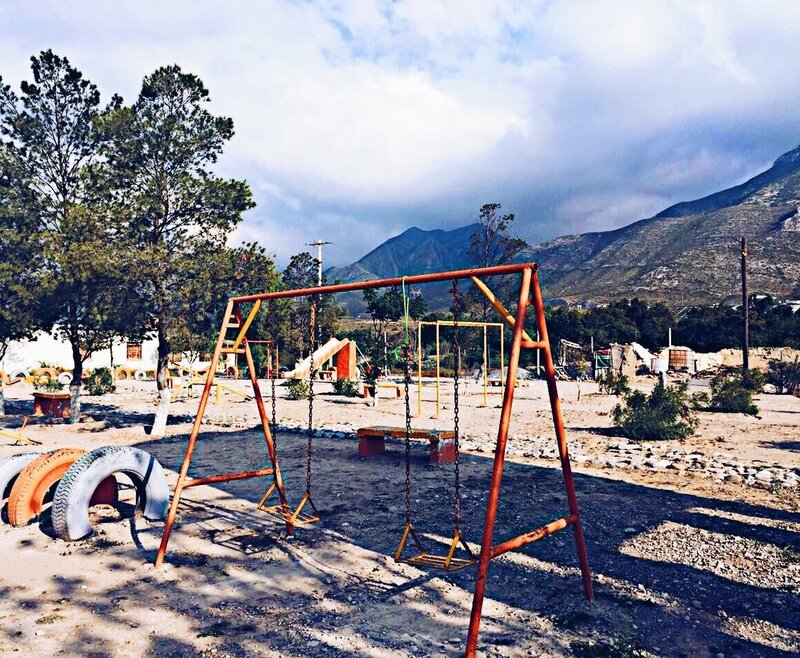 Hidden among the northern Mexican Cordillera, there she was, implanting hope, prescribing encouragement, and curing failure, in a seemingly forgotten town. We witnessed many miracles that day, as we witnessed patients walk away with more than the usual antibiotics. Patients left the clinic filled with hope and encouragement to move forward and create progress in their lives. Dr. Flores was welcoming, polite, and soothing calming, as she taught us more about the work they do daily in rural communities such as Ojo Caliente. Thanks to Dr. Flores, Ojo Caliente had hope. Progress is built on hope. Ojo Caliente was not a destination we had originally intended to explore, but after visiting, we felt this experience was truly a life-changing experience, and as Rick Warren once wrote: “Experience is not what happens to you. It is what you do with that happens to you. Don’t waste your pain, use it to help others."